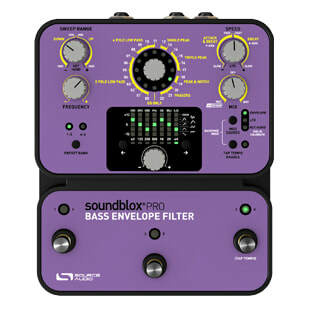 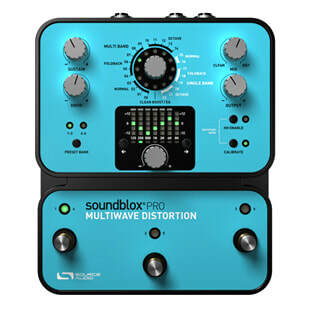 ​Every Soundblox Pro effect features a broad collection of effect engines, a 7-band graphic EQ, and extensive collection of adjustable parameters. Each pedal offers a colossal range of applications and tone possibilities. 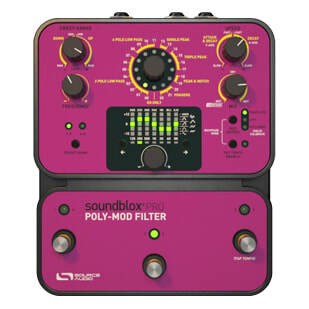 Up to 6 user presets are easily saved and recalled via three onboard footswitches.